Many critics warned against the Green Fairy’s seductive spell, claiming that absinthe was a powerful elixir that she used to lure people in, intending to capture their souls and imaginations. Absinthe-loving artists of the time created works that supported these ideas, depicting the green fairy as a powerful seductress, and the absinthe drinker as a bleary, absent man succumbing to these powerful temptations. 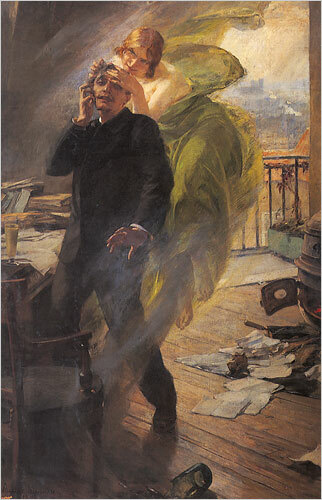 When absinthe bans were proposed in the late 1890s and early 1900s, these were the very images that were used to support the argument against absinthe. 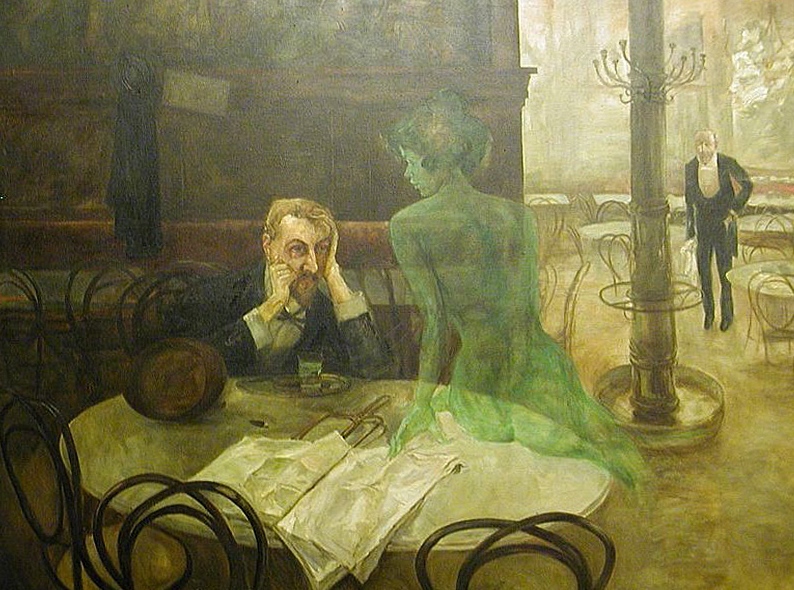 In the early 1900s, many critics believed that absinthe was the cause of much of the mental disorder, violent crimes and social disorder, demonizing the Green Fairy. Bans were passed, spurred by the temperance movement and the winemakers’ association. 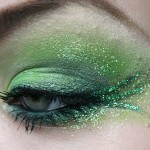 Perhaps because of absinthe’s use of wormwood, the drink was often associated with witchcraft and enchanted potions. 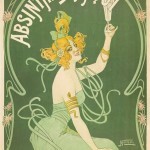 Absinthe advertisements often featured black cats, seductive women, and of course, green-clad, green-skinned, green-haired fairies. 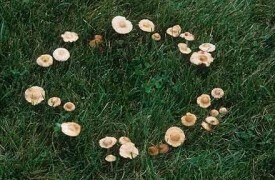 Learn about other green fairies. 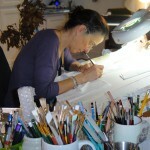 Why Have You Put Steampunk in my Fairy World?